Pierre Orphanidis went out to watch and shoot the newest TP52 on her sea trials last weekend; below is some info on the first ‘Turbo TP52″ to race in the 52SuperSeries fleet; go here for loads more pics and a few more bits of info. 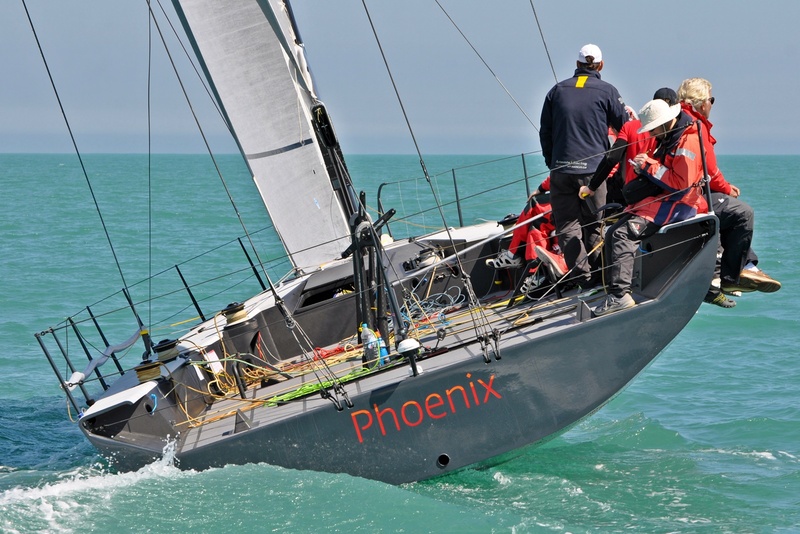 Although Phoenix is the first boat to have been designed to the 2015 TP52 rule, she still has to race under the current rule this year. Sail area next year will increase, an additional 5m2 for the mainsail and 10m2. The mainsail in 2014 will remain as is but the spinnaker has already been adapted to the new rule, hence the increase by approxaimtely 75cm of the bowsprits. During these initial trials in Valencia, the Phoenix sailing team uses a set of 2011 and 2012 sails from Azzurra. In fact, her design is an evolution of the Italian one. The remaining two major modifications Phoenix will undergo next year will be to increase draft by 15cm and get rid of the additional 200kg in the bulb that have been added this year in order to comply with the current rule.